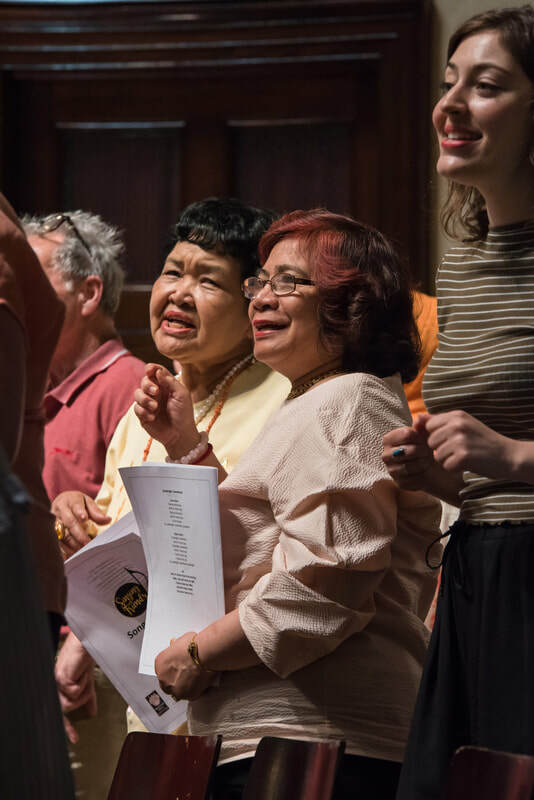 This new choir for people living with dementia and their carers developed in partnership with Wigmore Hall has been an overwhelming success, with over 25 participants from across the three boroughs, many of whom have done a Music for Thought project and attended Music for the Moment concerts. This shows how supporting people to participate in projects helps them to join in further arts activity, once the venue and people supporting the event and how to get to it are known and the welcome is warm on arrival. The choir have chosen their name, Singing with Friends, and performed to friends and family at Wigmore Hall to enthusiastic applause. The choir has been the subject of a research project with Canterbury University and the Wellcome Collection based Created out of Mind Hub, and have been recorded by the BBC. Once a quarter Wigmore Hall and Resonate host Come and Sing! events for people to try out group singing.